The Canberra Times based in Australia on September 2 devoted two pages to Vietnam’s revolutionary achievements and its socio-economic progress since the country gained independence in 1945. Among its series of articles and photos on Vietnam was an article by the Vietnamese Ambassador to Australia, Hoang Vinh Thanh, which reviewed the country’s milestones since President Ho Chi Minh proclaimed the birth of the Democratic Republic of Vietnam at Ba Dinh Square in Hanoi. 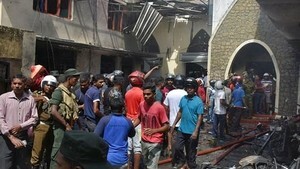 Under the leadership of the Communist Party, the Vietnamese people and their armed forces went from victory to victory. The country underwent two wars of resistance and emerged as one of the most dynamic economies in the Asia-Pacific region with a consecutive growth rate in excess of seven percent over 15 years. Despite the global economic downturn, Vietnam still recorded an encouraging growth rate of 5.5 percent in 2009 and 6.2 percent in 2010. Mr Thanh’s article stressed that Vietnam is a friendly and reliable partner of many countries, especially Australia. Australia is now Vietnam’s seventh largest trading partner and the country’s fourth biggest export market. The My Thuan Bridge, which was built with assistance from Australia, vividly symbolizes the solidarity and cooperation between the two nations. Over the past 10 years, Australia has become a popular destination for Vietnamese students. Currently, more than 24,000 Vietnamese students are studying at Australian colleges or universities. In 2009, Vietnam welcomed about 210,000 Australian tourists. Focusing on the millennial anniversary of Thang Long-Hanoi, the Canberra Times also printed a story on the history of the capital city. It said that after its ups and downs, Hanoi has become a major urban metropolis that has successfully combined ancient and modern characteristics. Another article in the paper analyzed Vietnam’s traditional culture, apparent in its profound folk festivals that are rich in national identity. 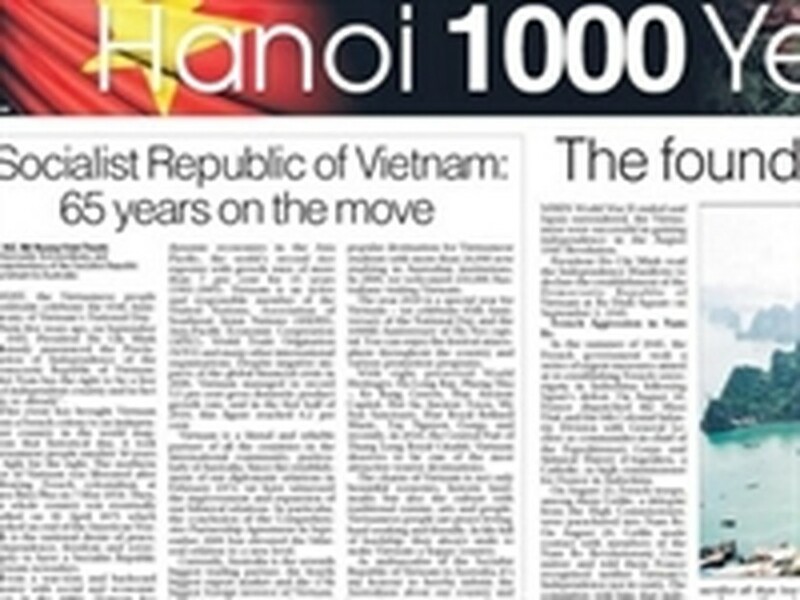 The phase ‘Hanoi 1,000 years’ was printed prominently on the Vietnamese flag and the The Huc Bridge on the front page of the Canberra Times. The articles were accompanied by photos of the Tortoise Tower, a Quan Ho singing festival, Ha Long Bay, Ho Chi Minh City’s Ben Thanh Market and Vietnam Airlines. Various major Australian businesses such as the ANZ Bank, Commonwealth Bank, Qantas Airlines, and the Goddard&Howse tourist company also sent their congratulations to Vietnam on its National Day.